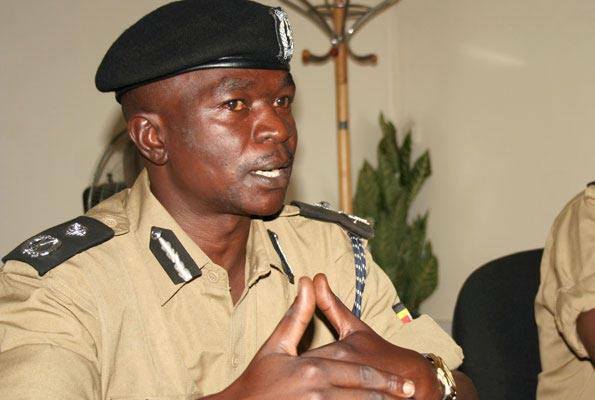 UGANDA: NEWLY APPOINTED DEPUTY DIRECTOR OF POLICE CRIME INTELLIGENCE IS A KNOWN CRIMINAL HIMSELF. The man appointed deputy director of the newly established directorate of crime intelligence, Joel Aguma (see picture) is a known criminal who was involved in extortion and torture when he was the head of the disbanded Rapid Responsse Unit. The same Aguma received cash from Rwandan intelligence with the knowledge of Kayihura, and he abducted a bonafide Rwandan refugee, and former bodyguard of Paul Kagame known by name of Lt. Joel Mutabazi whom he illegally handed over to the Rwandan Intelligence, and has since been sentenced to a long prison term. When there was concern raised for this abduction and illegal extradition, Kayihura fooled the nation by « suspending » this Aguma, only to return him last week with promotion and new assignment, Aguma is also known for abusing drugs THE POWER OF THE PEOPLE REMAINS THE ONLY HOPE FOR THE PEOPLE, TO GET RID OF SUCH BAD ELEMENTS..